Formerly, it was thought that mountains were merely protrusions rising above the surface of the Earth. However, scientists realised that mountains play a similar role to a nail or peg firmly holding down earth. For example, Mount Everest, the summit of which stands approximately 9 km above the surface of the Earth, has a root deeper than 125 km. By fixing the Earth's crust they prevent any sliding over the magma layer or amongst the layers themselves. In short, mountains can be compared to nails holding strips of wood together. The fixing effect of mountains is known as isostasy in scientific literature. Isostasy is the state of equilibrium between the upward force created by the mantle layer and the downward force created by the Earth's crust. Since the Earth revolves very quickly around its own axis, were it not for the fixing effect of the mountains, shifting of the split earth plates would make life impossible. The weight of clouds can reach quite astonishing proportions. For example, a cumulonimbus cloud, commonly known as the thunder cloud, can contain up to 300,000 tons of water. At the time when the Qur'an was revealed, of course, it was quite impossible to have any information about the weight of clouds. This information, revealed in the Qur'an, but discovered only recently, is yet another proof that the Qur'an is the Word of Allah. According to geologists' calculations, as the Earth cooled, heavy and dense substances sank to its centre, while lighter ones rose to the surface.During earthquakes, the heavy substances below the surface have an opportunity to rise, and the Earth thus disgorges its burden, as revealed in the Qur'an. Moreover, those regions where metal reserves are most concentrated are also those with the greatest volcanic activity. These scientific findings, which emerged only recently, and as a result of wide-ranging research, are just some of the scientific facts indicated by Allah in the Qur'an. This verse describes all people's situation in the Hereafter as one resembling swarming locusts. 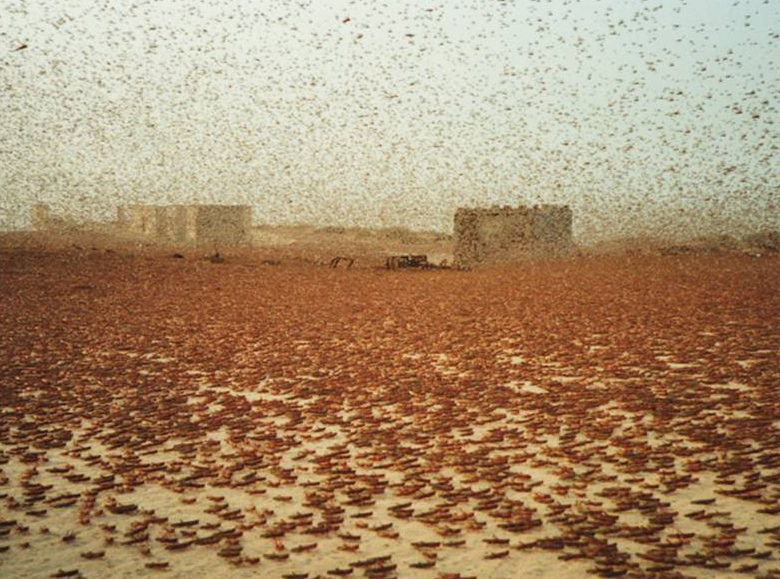 Today, locusts are being studied by special units, which employ remote control imaging systems. Even NASA satellite data are used to identify areas in Africa where desert locust colonies have developed. In other experiments, Professor Libet left the choice of when the subjects would move their fingers up to them. The brains of the subjects were monitored at the moment their fingers moved, and it was observed that the relevant brain cells went into action before the subjects actually took the decision. To put it another way, the command "do!" reaches the individual, and the brain is readied to perform the action; the individual only becomes aware of this half a second later. He or she does not take a decision to act and then performs that action, but rather performs an action predetermined for him or her. Yet, the brain makes an adjustment, removing any recognition that the individual is actually living in the past. For that reason, at the moment we refer to as "now," we are actually living something determined in the past. As already discussed, these studies manifest the fact that everything happens by the will of Allah, as revealed in Surat al-Insan. (1) Benjamin Libet, “Unconscious cerebral initiative and the role of conscious will in voluntary action,” Behavioral and Brain Sciences, 1985, 529-566. It is estimated that in one second, approximately 16 million tons of water evaporates from the Earth. This figure amounts to 513 trillion tons of water in one year. This number is equal to the amount of rain that falls on the Earth in a year. Therefore, water continuously circulates in a balanced cycle, according to a "measure. "Even a minor deviation in this equilibrium would soon give rise to a major ecological imbalance that would bring about the end of life on Earth. Yet, it never happens, and rain continues to fall every year in exactly the same measure. The proportion of rain does not merely apply to its quantity, but also to the speed of the falling raindrops. The speed of raindrops, regardless of their size, does not exceed a certain limit. Philipp Lenard, a German physicist who received the Nobel Prize in physics in 1905, found that the fall speed increased with drop diameter until a size of 4.5 mm (0.18 inch). For larger drops, however, the fall speed did not increase beyond 8 metres per second (26 ft/sec). ** He attributed this to the changes in drop shape caused by the air flow as the drop size increased. The change in shape thus increased the air resistance of the drop and slowed its fall rate. Life on Earth depends on this water cycle. Even if all the available technology in the world were to be employed for this purpose, this cycle could not be reproduced exactly. As can be seen, the Qur'an draws our attention to the subtle adjustment in rain which could not have been known 1,400 years ago. Due to the different pressures caused by different temperatures in the atmosphere, air constantly flows from areas of high pressure to areas of low pressure. What is astonishing here is that, despite there being belts of very different temperatures and pressures, such as the equator and the poles, our Earth is not exposed to disastrously fierce winds. Were the force of the winds that would otherwise blow between the poles and the equator not tempered, the Earth would become a dead planet constantly buffeted by tornadoes. Countless air bubbles formed by the foaming of the oceans continuously burst and cause water particles to be ejected towards the sky. These particles, which are rich in salt, are then carried away by winds and rise upward in the atmosphere. These particles, which are called aerosols, function as water traps. The clouds are formed from water vapour that condense around the salt crystals or dust particles in the air.The water particles that surround salt crystals and dust particles thicken and form raindrops, so, drops that become heavier than the air leave the clouds and start to fall to the ground as rain. We must remember that meteorologists have only recently come to know these details about cloud formation.Every stage in the formation of rain is related in the verses of the Qur'an. Furthermore, these stages are explained in exactly the right sequence. It is evident that this information could not have been known 1,400 years ago. The crust and the uppermost part of the mantle are divided into segments called plates. According to the theory called plate tectonics, these plates move about on Earth, carrying continents and ocean floor with them. As the plates continue to move about, this will produce a slow change in Earth's geography. There is an important point that needs to be stated here: Allah referred to the motion of mountains as drifting in a verse of the Qur'an. Today, modern scientists also use the term "continental drift" for this motion. Allah further describes this action in the following verse, stating that the mountains were going past like clouds. As has been indicated, attention is clearly drawn to the movement of the layer in which the mountains are fixed. It was only at the beginning of the 20th century when, for the first time in history, a German scientist by the name of Alfred Wegener proposed that the continents of the Earth had been attached together when it first formed, but then drifted in different directions, and thus separated as they moved away from each other & that the Earth's crust "floats" over the mantle layer, which is denser. 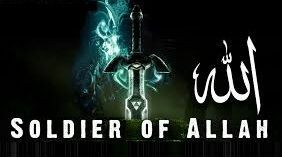 This is another very important proof that the Qur'an is the word of Allah. With its gravitational force, the earth pulls everything on it toward its center. Thanks to the force of gravity that people are able to walk on the ground & stay where they are & satellites orbit the earth without flying off into space, and that the rain is able to fall. Isaac Newton, regarded as one of the greatest scientists ever, investigated this feature of the earth in his book Philosophiae Naturalis Principia Mathematica.The reference in the Qur’an to one of the earth’s great forces,is just one of the proofs that the Qur’an was sent down from the presence of Allah. The electrostatic charge on the particle surface that appears after the water falls on the soil in sufficient amount would cause its instability and quivering movements.The soil particle's moving and quivering is also due to its collision with water particles. Since the water particles move in no specific direction, the soil particles move as they are struck from all sides. Robert Brown, a Scottish botanist, discovered in 1827 that when raindrops fall on the soil, they cause a kind of shaking and vibration in the soil molecules. He described this movement of microscopic particles, which today is known as the "Brownian motion. The reason why meteors make enormous craters on other planets but do no harm on Earth is that the atmosphere puts up considerable resistance to a falling meteor. The meteor is unable to withstand this for long and loses much of its mass from combustion due to friction. Allah thus informed us in the Qur'an of the world's atmosphere functioning as a protective shield. See they not that We gradually reduce the earth from its outlying borders? These findings have helped us to understand the verse of Surat Al-Anbiyaa.The same fact has been repeated in Ar-Ra'd at 13:41. One of the most important reasons for the great equilibrium in the universe is the fact that celestial bodies follow specific paths. It has been calculated that even the slightest deviation from celestial bodies' paths could have drastic consequences which might spell the end of the entire system. The Judgement will indeed take place. The verse indicates this truth. When a star has consumed all its fuel it collapses in on itself, eventually turning into a black hole with infinite density and zero volume and an immensely powerful magnetic field. Black holes, however, do not just cause warps in space but also tear holes in it. How will you comprehend what the night star is? This yet again demonstrates that the Qur'an is the Word of Allah. Yet they say: "When we are turned to bones and bits, shall we be raised as a new creation?" The facts revealed in the above verse once more confirm that the Qur’an is a divine text. Thus the frontal part of the skull is responsible for planning, motivation, and initiating good and sinful behaviour, and is responsible for telling lies and the truth. It is clear that the statement "the lying, sinful forelock" corresponds completely to the above explanations. Again, this fact which scientists have only discovered in the last 60 years, was stated by Allah in the Qur'an centuries ago. Today, there have been 99 visitors (171 hits) on this page!